Looking to start an annual tradition of choosing and cutting down your own Christmas tree? Check back to SouthernMamas this week for a review from a reader of Okatie Farm , which has Christmas trees-you choose and you cut, precut Christmas trees, living Christmas trees (to plant later), Christmas wreaths and boughs, Christmas decorations, saws provided, trees bagged, trees tied, trees tied, gift shop. Click here for more info. 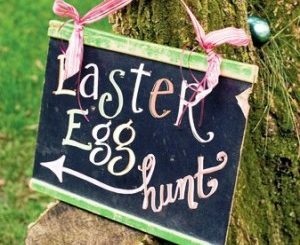 For more children’s holiday activities, visit the SouthernMamas Ultimate Holiday Guide here. Kids love homegrown outlandish holiday lights displays with colorful flashing lights, huge blow-up snow globes and more. Tell us where your favorites are by commenting below. 1. 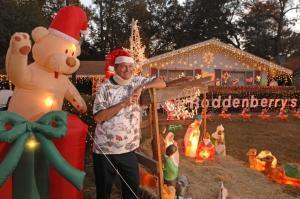 The Roddenberry home in Windsor Forest on Savannah’s Southside. It’s in the 200 block of Windsor Road. 5. a home in The Hamptons, located in Buckhead South (Richmond Hill). Features light and music animated with 99.3 FM (Directions: third house on the left in Hamptons in Buckhead South. 6. Stuart St. off of Waters Ave. between Stephenson and Lee St.
8. ADDITION FROM A SAVVY READER: 105 Mapmaker Lane, Battery Point subdivision on Whitemarsh Is. Computer controlled channels with 15,000 lights and the music is pumped into your car through the radio on 99.3 FM. There is a 20 minute show that loops from 6-10PM everynight. 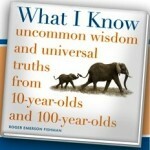 The autographed hardcover is a collection of life insights from opposite ends of the life spectrum, compiled as the author traveled all across the country to meet and interview centenarians and children alike. Savannah centenarian twins Eloise Rogers and Lois Fisher were among dozens of 10-year-old youths and 100-year-old sages interviewed by author Roger Emerson Fishman of Los Angeles. The book consists of short quotes and profiles of people from around the nation. Putting together a fun-filled fest for a troupe of toddlers with high expectations can feel like a tall order for any mom. Let the team at Angela Beasley’s Puppet People take care of the entertainment. The beloved professionals perform puppet shows, Disney-like face painting or glitter tattoos, and “Mom & Me” puppet making workshops and hat making at the Puppet People Party Place or at any local venue of your choosing. Parties at the Puppet People Party Place usually involve two hours of organized fun on a fantasy-filled puppet factory. Off-site shows are 30 minutes. Favorite theme parties include Prince/Princess or Mad Hatter Tea Party. The 1,000-square foot Party Place is complete with a sound system so you can plug in your iPod or bring your own CDs. The party can be extended the backyard, canopied with pecan trees and Spanish moss. You just select a party theme and puppet show from Puppet People’s family-friendly parties section. An on-site party includes a party host to tend to every need; an interactive studio; music, games and bouncing balls; puppet-making – each guest leaves with their own puppet; tableware. Anyone who’s seen Puppet People at Savannah events knows these playful puppets deliver! Not surprisingly, Puppet People was named the 2009 Family Choice Award for Best Children’s Birthday Party by Coastal Family Magazine. Sometimes it pays to go with the professionals. The Puppet People Party Place is at 3119 Furber Ave. Book your party by calling 912.355.3366 or email puppets@puppetpeople.com. Click here for more info. The Mighty Eighth Air Force Museum in Pooler is launching a new initiative to encourage local citizens to take advantage of what’s right here at home. The museum has dedicated November as Community Appreciation Month to the Coastal Empire and Lowcountry, and has reduced its regular admission rate of $10 for adults and $6 for kids to only $5 for adults and $3 for kids. In addition to the reduced rate, guests will also receive a 10 percent discount in the Gift Store. Now is the perfect time to visit the museum and see the new B-17. The Mighty Eighth Air Force Museum is just minutes from downtown Savannah in Pooler at 175 Bourne Ave. off I-95, exit 102. For more info, click here or call 912.748.8888. 9 AM Dec. 9 at the school’s Kindergarten Roundup. Prospective students and parents will get a tour of the school where they will meet the pre-K and kindergarten teachers and see classes in action. Parents will learn more about the school and have the opportunity to fill out registration applications. Contact the school in advance to sign up: 912.356.6987. Open House for perspective parents and students Dec. 7-11. Parents may drop by the school between 9 and 11:30AM to the tour the campus, observe the teachers and meet the principal. The U.S. Consumer Product Safety Commission (CPSC), in cooperation with Stork Craft Manufacturing Inc. today announced the largest crib recall in United States history, involving cribs with dropdown sides, fearing they may be unsafe, even deadly. The voluntary recall of more than 2.1 million Stork Craft drop-side cribs includes about 147,000 Stork Craft drop-side cribs with the Fisher-Price logo. The recall involves approximately 1,213,000 units distributed in the United States. 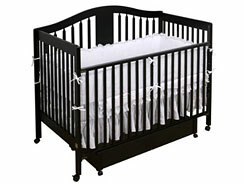 Problems with the crib can cause the drop-side to detach in one or more corners. When the drop-side detaches, it creates space between the drop-side and the crib mattress. The bodies of infants and toddlers can become entrapped in the space which can lead to suffocation. Complete detachment of drop-sides can lead to falls from the crib. Contact Stork Craft toll-free at (877) 274-0277 anytime to order the free repair kit, click here. Avoid the long lines and chaos at the malls and take advantage of the convenient parking and complimentary gift wrapping at the locally-owned children’s store at 7701 Waters Ave. The $20 donation includes visit with Santa; two 5×7 Prints; treat for your child; 15 percent coupon at Just for Baby & More, a sponsor of SouthernMamas. For an additional $10, a CD with images can be purchased. 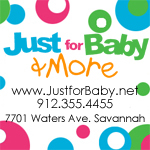 Contact Casey@justforbaby.net with any questions about visiting with Santa. Among those centenarians featured are Savannah’s own centenarians, Eloise Rogers and Lois Fisher, whom I spotlighted in my Savannah Morning News Sunday column shortly before their 100th birthday in 2008. Last year, things took a turn for the sisters. Fisher fell ill and Rogers moved to Greenville, S.C., at the urging of her daughter. On July 27, 2009, Fisher died at the age of 101. 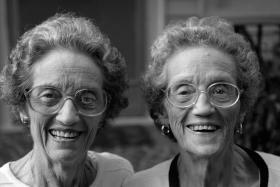 Twins Eloise and Lois were among dozens of 10-year-old youths and 100-year-old sages interviewed by author Roger Emerson Fishman of Los Angeles. The book consists of short quotes and profiles of people from around the nation. To enter to win, comment below on the answer to this question. Check out the SouthernMamas Ultimate Holiday Guide. Tell us which event you plan to attend or share your own tip for a fun holiday outing or tradition. Just click on comments below to share your tip and enter the contest or comment on our Facebook page here. Be sure to become a fan of SouthernMamas on Facebook while there. Entry period closes 9 pm Thurs. Nov. 26. Please tell us your name. We’ll pick a name at random and announce the winner Fri. Nov. 27. This book would make a lovely holiday present. It highlights unique perspectives on life and the stories behind them. Check out the book Web site here and watch the video trailer on the book’s home page to get a sense for the tone and content of the book. Now through Dec. 24, children can have a FREE photo with Santa, enjoy holiday decorations, a model train and remote-control cars, games, and, on weekends through Dec. 20, participate in free holiday crafts. Click here for more info. PLEASE NOTE: SANTA ISN’T THERE UNTIL 5 PM ON WEEKDAYS, but the free activities are still available – just no Santa photos until 5 PM weekdays. Thanks to readers for the great suggestion and keep those tips coming. Creating a sensible budget is one of the hardest parts of family financial planning. Trying to spend less is difficult for those already on a tight budget; learning to spend smarter takes some time and focus, but can save you money. Financial advisor Marsha Woelber, a Partner at Independent Investment Services, LLC/Securities Offered through LPL Financial, Member FINRA/SIPC, shares an easy trick of smart spending: the use of Flexible Spending Accounts (FSAs). Check out her guest article below. She can be reached @ marsha@iissav.com or 912-650-2852. 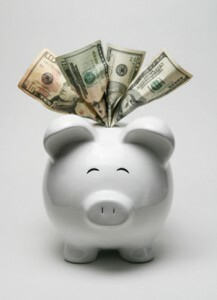 One easy trick of smart spending is the use of Flexible Spending Accounts (FSAs). Check with your (or your spouse’s) employer to see if this benefit is available to you. An FSA allows an employee to set aside a portion of earnings before taxes to pay for certain medical or child care expenses. Money in a FSA avoids income tax and the 7.65% Social Security tax. If you are in the 15% tax bracket, you could avoid paying over 22% in taxes on that money, easily adding extra cash to your budget (Not sure of your tax bracket? Google “tax bracket” and see where you fit). There are two types of FSAs: Medical Expense and Dependent Care. Medical expense FSAs cover health expenses not paid for by insurance. Each program varies, but allowable expenses include medical copayments and items such as contact lenses, birth control pills, many OTC drugs, and even band aids. Your employer sets the maximum amount of money you may set aside. You choose to have this money taken out of your paycheck (tax-free) and then use it to pay your bills. To order, call 865-429-2627 or email readytolearncalendar@gmail.com. The calendar is sold as a wholesale item at $5.00/calendar and there is a minimum order of 64. The shipping runs from $.50 to $1.00 per calendar. Orders can be taken to assure that calendars are presold. For more info, click here. 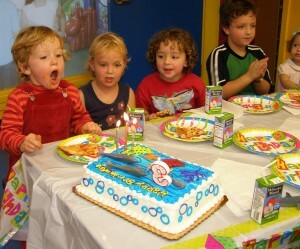 My son’s 3rd birthday party at Bouncing Angels was a cinch. The Savannah indoor play place at Victory Drive and Skidaway Road made it so easy. 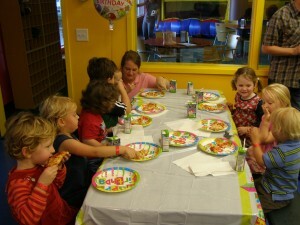 Birthday packages include as much jump time as the kids can handle; pizza, juice boxes, paper plates, napkins and more. You bring the cake, cupcakes, etc. The play & party entertainment center @ the Victory Drive Shopping Center, 2123 E. Victory Drive is undergoing a lot of improvements. Birthdays will soon include thrones for the birthday boy or girl; as well as a personalized “Happy Birthday” banner with the child’s name. Birthday guests receive unlimited jump time – so they can bounce off all that birthday cake. 10 AM- 9 PM Fri.- Sat. Check out their Web site here. For more info. call: 912.691.8797. If you’re planning to host a birthday party there, ask about the free party deal: after 15 paid admissions of $16 each, you earn a free birthday party with up to 16 kids (a $259 value). Can’t think of what to get your mom, sister, friend or co-worker for the holidays? Give the gift that everyone loves: a giftcard to The Melting Pot, a sponsor of SouthernMamas. The Melting Pot also has great stocking stuffers! Ask about their bars of chocolate, salad dressing and garlic and wine seasoning. Call ahead or stop by today to pick up these gifts. The Gingerbread Village and toy train were supposed to open Fri. Nov. 20, but has been postponed. Call 912.201.2000 before making a trip to the Westin to check on the status of the display. Thanks to reader Monica Patel for providing this information! The Savannah Holiday tree arrives Thurs. Nov. 19 in downtown Savannah. The giant community tree will be moved just off Ellis Square for the first time, after spending previous holidays on the waterfront and in Forsyth Park. The tree is just one part of a Downtown Savannah holiday lineup. Broughton Street will decorated beginning 10 AM Sat. Nov. 21. On Nov. 27 and 28, Broughton will be transformed into a winter wonderland for Savannah Holly Days, sponsored by the Savannah Convention and Visitors Bureau, which will include ice-skating, music, a wine-tasting and real snow. Parking meters are FREE all day long every Thursday-Sunday from Thanksgiving through Christmas. 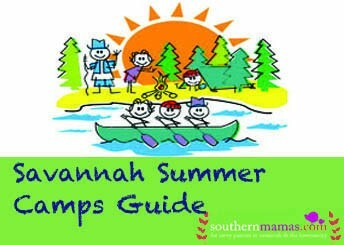 For more info on Savannah Holly Days, click here.